Well it looks like everything is coming up roses for Landcare. This week the Deputy Prime Minister, who is also the Minister for Agriculture and Water Resources, Barnaby Joyce, announced that the future of the National Landcare Program is secure and that the Coalition Government is investing more than $1 billion over five years into the National Landcare Program (NLP). The NLP is jointly administered by the Department of Agriculture and Water Resources and the Department of the Environment and Energy. The Program will continue to focus on on-ground works and ways to improve issues like soil health, erosion management and water quality, making the program relevant to all land managers, particularly farmers. The focus of the NLP will be on applying well researched and innovative land and water management techniques and tools on the ground. For more than 25 years, the Landcare movement has been protecting, restoring and sustaining soils, water and the diversity of Australia’s unique plants and animals and its threatened species. The Program will continue to support on-ground community projects that harness local know-how and deliver practical and tangible results. 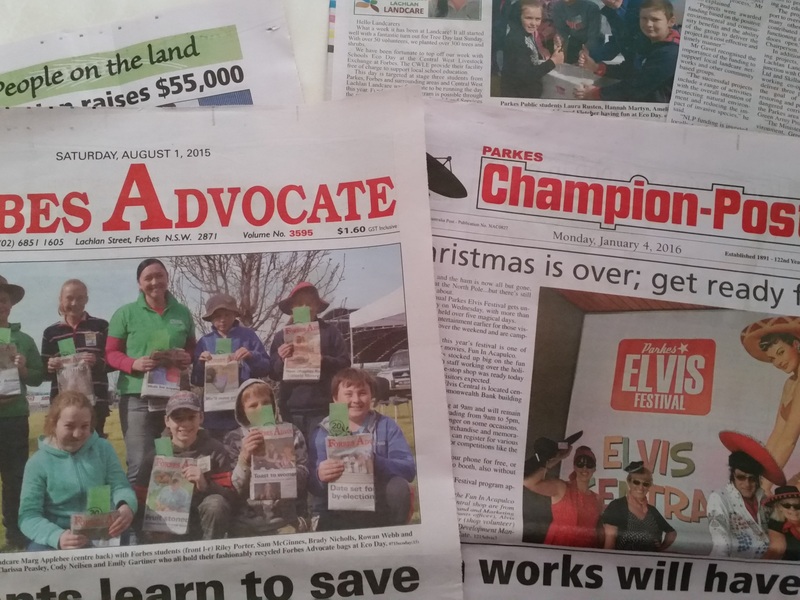 The funding doesn’t just get handed over to Landcare as such. The funding has to feed through many organisations. So what does this mean for us and our region? Well that is unknown at this stage, but it is good to know that the land is still a priority for our Government and that there will be opportunities available for people and projects into the future. 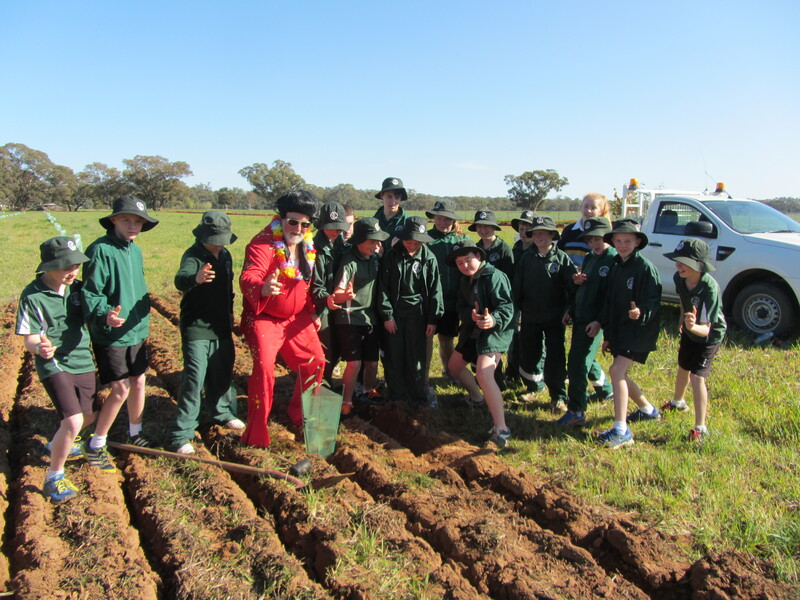 Central West Lachlan Landcare are one of 5400 Landcare groups around Australia. Each group has a different capacity. Some employ staff and some are all volunteers. One thing is for sure, we will keep working hard to deliver all of these things to our communities and we would love you to be part of it. While we are on the subject of projects, there is lots to get involved in over the coming months. I have mentioned in previous articles that the National Parks Association Lachlan Valley Branch and Central West Lachlan Landcare are pleased to welcome Michael and Sarah Guppy to Parkes for a presentation on next predation and bird habitat on Wednesday, 31 May at 7pm in Parkes Neighbourhood Central. Please RSVP to me if you would like to be involved. The NPA will also be holding their next walk in the Coradgery State Forest on Wednesday, 24 May, departing from Bushman’s Dam at 0845. Please contact walk leader Peter Cannon on 02 6866 1225 if you are intending to join the group on this walk. CWLL are thrilled to be part of the Forbes Food Revolution on Friday. This is a fantastic day with a focus on healthy food and challenges people to think about where their food is coming from and how much they waste. Don’t forget to check out the War On Waste on the ABC on Tuesday evening! In next week’s article, I have some very exciting news to announce about two projects, one in Parkes and the other Forbes. The good news is that you can be involved!